Sinker EDM | EDM Machining | EDM Services | KLH Industries Inc.
KLH sinker burns any electrically conductive material, whether soft or hard, without inducing stresses into the material. CNC-controlled sinker EDM services are an ideal low risk machining solution for dies, molds, or any piece with preexisting machine or labor hours. 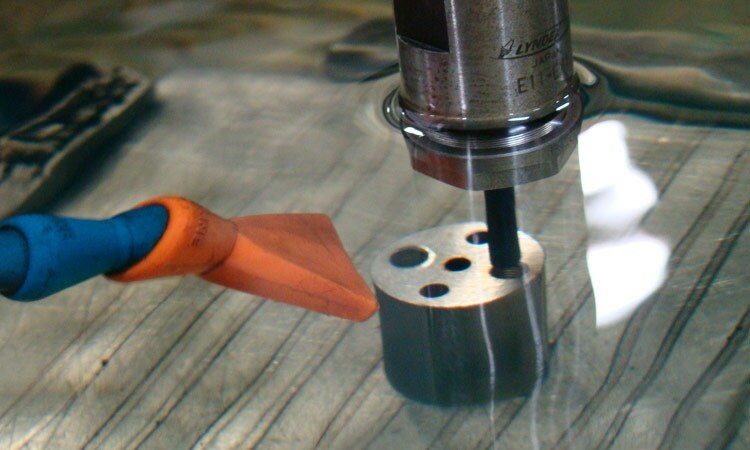 Sinker EDM is for companies looking to minimize machining risk with reliability and accuracy. Typical tolerance, but can vary due to type of material. Rotation around the Z-axis allows for threaded holes in hardened materials. Fully-submersed in an oil bath to increase erosion rate. Slower feed rates increase surface finish, but increase electrode wear. Burns soft or hard metals, including carbide. Clean out damaged walls without affecting geometric position. A chief benefit of sinker EDM is the ability to produce complex shapes without inducing stresses into the material. 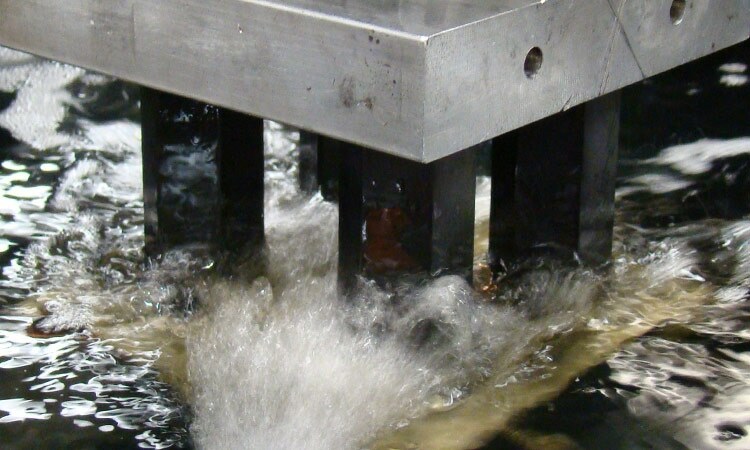 Since the electrode is sunk, or lowered, into the material, it must be wider towards the top of the plunge than at the bottom. Unlike wire EDM, sinker EDM does not cut all the way through the material (unless desired). As a result, sinker EDM has a wider variety of applications, such as blind cavities/keyways, thin walls, or cross sections. This versatility makes sinker EDM an efficient technology for stamping dies and injection molds. Since the reverse image must be machined out of graphite, it is encouraged that the customer provides a 3D model. The more complex the required electrode, the more costly sinker EDM can become. Sinker EDM (also referred to as conventional or ram EDM) utilizes a custom-made electrode that “sinks” a shape into a material. Electrodes – which are commonly made of graphite, copper, or tungsten – appear as a reverse, or negative, of the required shape. As with all EDM services, the tool-electrode degrades with use, which requires additional electrodes for long-run sinker applications. What is the tightest radius sinker EDM can produce? 0.0005”. For a tighter radius, consider wire EDM. How is this process similar to conventional EDM or ram EDM? They’re one in the same. A couple of terms are used synonymously. How are the custom electrodes made? 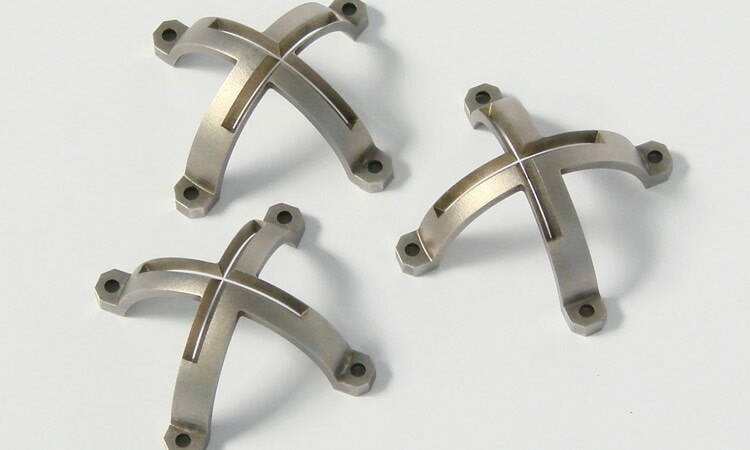 Depending on the complexity of the shape, custom electrodes are typically made with CNC milling or CNC turning. It is preferred if KLH CNC machines any custom sinker EDM electrodes. How many electrodes do I need for sinker EDM? Electrode wear can be affected by a lot of variables, including material type, on/off times, and machine settings. A better surface finish, for example, requires more electrodes.